All of us at TVE Asia Pacific are missing Mariyam Niuma. This bubbly, happy-go-lucky intern returns to her native Maldives this week after working with us for over a year as a programme assistant. She plans to spend more time with her family, and explore work opportunities in the Indian Ocean archipelago nation of 370,000 people. 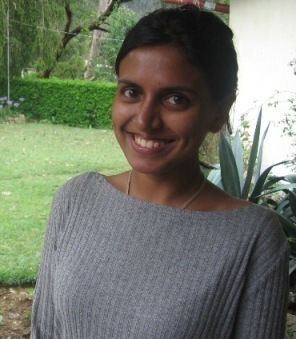 Niuma, in her early 20s, applied for a staff position in late 2006. Among other things, she came with skill and dexterity in graphic design, web research and English proficiency — always useful for a regional communication organisation like ourselves. “I want to learn as much as I can how a non-profit organisation works,” she told as at the recruitment interview. She had plans of taking the knowledge and skills back to her home atoll, hoping to make life better for her people. I hope she found what she was looking for. We found in her an energetic young person with good attitude – one who could be challenged to work on tough (and sometimes tedious) tasks on a regular basis. Well, all that’s true as widely advertised. But Maldives is a whole lot more – a history going back to at least 1,500 BC, distinctive island culture, and a nation that is struggling to reconcile tradition with modernity. Divehi, the Maldivian language, contributed the word “atoll” (a ring-shaped coral reef) to the English language. The former British protectorate, which became independent in 1965 and a republic in 1968, has a pro-democracy movement sustained over the past few years. If such political turbulences create a sense of uncertainty in the minds of Maldivians about their future, it’s only one source of concern. They also have to worry about whether their nation would have a collective future. That’s because of climate change that scientists now confirm are underway, aggravated by human action. 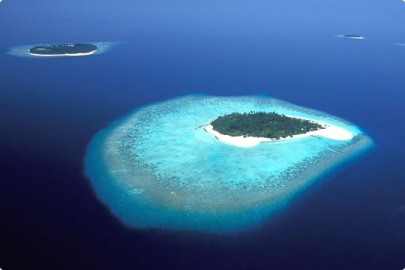 Most of the 1,200 islands in the Maldives are no more than 1m (3 feet) above sea level. Even a modest rise in sea levels could inundate these lands. Within 100 years the Maldives could become uninhabitable. Time is indeed running out for Niuma and her country — as this poster produced by The Body Shop reminds us. In 1987 and 1991 storm surges flooded a large number of islands, including one-third of the capital where one-quarter of the country’s population lives. Unusually high waves forced the international airport to be closed, causing great damage to tourism and constraining emergency relief operations. On 26 December 2004, the Asian tsunami battered the Maldives, forcing the evacuation of 13 of its 200 inhabited islands. These incidents indicate how vulnerable the islands are to wave action. Maldives was among the first countries in the world to raise climate change as a serious issue at the United Nations. President Maumoon Abdul Gayoom raised the alarm back in 1987, when most people had not even realised the problem and scientific evidence was just beginning to come in. The Maldives did more than raise the issue. The country played a lead role in rallying around other small island states worldwide that would be among the first to be impacted when sea levels rise due to thermal expansion and melting of polar ice. In November 1989, the Maldives hosted the first ever small states conference on sea level rise, which was one of the first international scientific events that I covered as an eager young science journalist. The conference issued the Malé Declaration on Global Warming and Sea Level Rise, which urged for inter-governmental action on the issue. The small island states played a key role in negotiations that led to the UN Framework Convention on Climate Change adopted in 1992. This is the precursor to Kyoto, Bali and other processes that are now very much in the news. Just a few weeks ago, in mid November 2007, the Maldives once again hosted representatives from small island states to discuss climate change. Eighteen years after the original meeting, the subject is no longer a fringe concern; it’s now on everybody’s agenda. 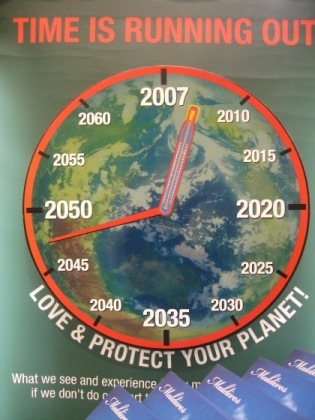 The meeting urged the the human dimension of global climate change to be included in the agenda of UN Climate Change Summit in Bali (December 2007), and sought the international community’s commitment “to protect people, planet and prosperity by taking urgent action to stabilize the global climate change”. This time, the Male’ Declaration on the Human Dimension of Global Climate Change called for the UN High Commissioner for Human Rights to assess the human rights implications of climate change and “to conduct a study into the effects of climate change on the full enjoyment of human rights”. It requested the UN Human Rights Council to convene in March 2009 a debate on human rights and climate change. I wasn’t at the November 2007 Male meeting, but was glad that the meeting stressed the need for adding a human face to the complex, nuanced challenge of climate change. This resonates very much with my own experience. Mariyam Niuma takes me a bit closer to the realities of what climate change means to communities living on the frontline. Unlike Niuma, who is web savvy and connected with the wider world, many are blissfully unaware of the problem. Our challenge is to bring their voices, stories and aspirations to the global news agenda and the myriad discussions now underway searching for solutions. I hope someday we can work with Niuma again — perhaps amplifying her story in moving images. 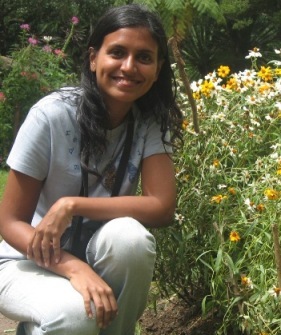 I am from the Maldives and an environmental enthusiast if i may says o myself.I work on the Climate CHANGE Strategy project for the Maldives funded by the Global Environment Fund. Me and my friends are quite aware of the environmental fragility of the Maldives and we do even hold awareness sessions via local NGO’s including participation from Blue Peace which is the NGO which organized the rally in 1989. If there are anything that you could help us with in our cause please let us know. Maldives is in the forefront of Global CLiamte CHange and its adverse effects. Thank you for taking up this issue. P.S Blue Peace is creating a new website and new projects and ideals your ideas are most valued. Hi there, I am wondering where the historic 1989 Male Declaration on Global Warming and Sea Level Rise is available in a text form online. just want to ask if for the next two years,maldives will be a safe place to work?Hopefully,my application will be approved and then work in one of the island there,at villingili.because im reading some news about the condition of the country that the govrenment is planning to transfer the whole island to other part of a country like australia or india,that due to global warming,there’s a posibility that the water sea level will get more than the usual. I’m not a technical expert on the subject, but as an avid follower of this issue, I think it’s correct to say that sea level rise is a problem that is gradually building up – not something that erupts suddenly, like the Indian Ocean Tsunami did in December 2004. On that occasion, several inhabited islands were flooded causing substantial damage.